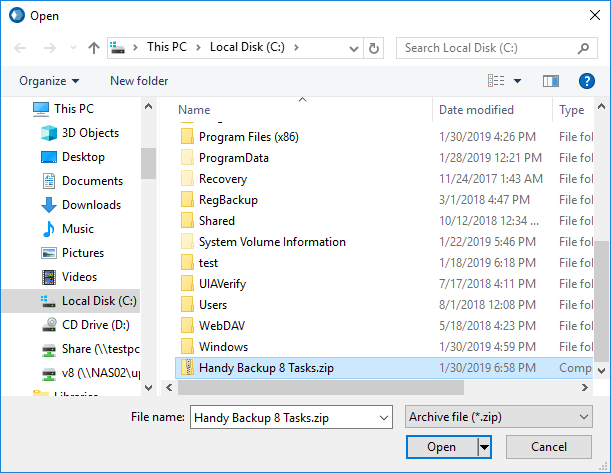 You can export your tasks as a single ZIP file, and import these tasks later into any copy of Handy Backup. It is useful for migrating, upgrading and for some other situations. To export your tasks, open the "File" menu and find an option called "Export tasks...". A file opening dialog will appear, to let you save your task list as a ZIP file. Change the name of a file if you need it, and click "Save" to proceed. That is all. To import previously saved tasks, just open an "Import tasks..." dialog from a "File" menu. 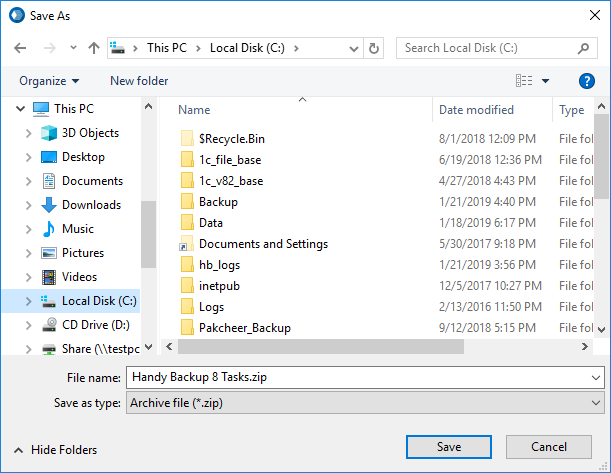 Then select a ZIP file containing a task list from a file opening dialog window. Click to the "Open" button and add all the tasks from the saved list into your active task list. The imported tasks will be marked as "imported".